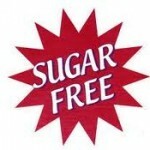 A pal, recently diagnosed with diabetes, told me you have to be careful of sugarless treats such as cake/cookies. She said a carb is a carb and too many, sugarless or sugary, are not the diabetics’ friend. I thought of her comment when I read David Owen’s “It’s Too Easy Being Green” article in The Wall Street Journal. The takeaway: Just because something seems better for either you or the earth, doesn’t mean that it is. 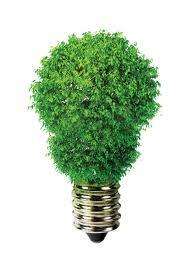 I know how little good I do for the environment when I use green light bulbs. For sure the store and manufacturer get more money, but I wonder if I end up using more light fixtures so I can see properly because the green bulbs don’t illuminate with conviction. We keep the heat low at the house to save money. The outcome is that we are not using as much fuel as before-a good thing for the earth. ***In both the light bulb and heat instances we’re like school kids who study hard, ace the test yet continue to get a C grade. Due to the increased cost of energy, electric and fuel bills escalate. Eventually millions will turn down the heat and go to bed early in winter. As a consequence, we’ll consume less fuel, a plus for the environment and the blanket and sweater industries. ***While tempted to buy green building products I wouldn’t pay the supplement for most as the upfront costs take too long to benefit my pocketbook. I can’t be alone, hence, a negative. If you read Owen’s article, you’ll wonder how much good these inventions do anyway. Read on. 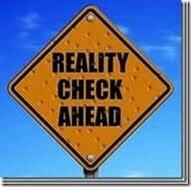 Do you deceive yourself about health, environmental or other issues? We’ve got to start somewhere and awareness is only the first step. Then what? This entry was posted on Thursday, February 16th, 2012 at 12:04 pm	and is filed under Deceiving Yourself, Health	. You can follow any responses to this entry through the RSS 2.0 feed. You can leave a response, or trackback from your own site. This reminds me a bit of your piece on hidden agendas. Mankind has always been gullible. We want badly to believe – witness the great strength of fundamentalist style religions and not just with the poor and meek. Furthermore, advanced technology has made it much easier for the marketers to persuade us that green is red and red is blue. Deception is the name of the game if you want to sell somebody something. We all know intuitively that we are at risk if we consume too much sugar, including the people who sell us sugar, but they spend billions anyway successfully persuading us to consume more sugar than is good for us. Many know from bitter personal pain and suffering what a devastating blight on humanity narcotics are, but as a society we spend literally trillions pretending to do something about them knowing full well that nothing will come of the effort. The suicidal urge in society is just too powerful – the “liberal” Dutch even sell the stuff legally — and too profitable for the greedy few to make it possible for anyone to stop either the producing, or the selling, or the using of narcotics. Just as bad is your light bulb example! Did you know that because of the toxic metals in them, those things are hazardous waste if they break? Some of us have figured out that there is a crisis at hand as to the very survival of humanity on this planet, but most of us have been deluded by the “Sell it at any cost, including the extinction of the human race, but for God’s sake sell!” crowd. If we wish to survive much longer, there is only one way to do it. Drastically reduce the number of people on earth and stop those left from consuming what they don’t really need or want. But you won’t hear that elsewhere, because we really do live in a time of mass deception. Messengers bearing bad news get shot, and we don’t want that to happen to us. David Owen took a lot longer to make the point you made when he wrote in his conclusion that we need behavioral not technological change. We also need people who ask questions. As for sweets, it’s so easy to sell them as many are delicious. I’d rather eat less of the real thing than more of something made with any of the so-called healthier ersatz sweeteners. They leave a horrible aftertaste and goodness knows what they do to the rest of your body. I heard that light bulbs can be dangerous although not everyone agrees on how bad they really are. I take garbage to a dump and while we divide wet from paper and plastic refuse, I have not noticed that there’s a special pile for these light bulbs or even for camera and radio batteries that I also think must be handled with care. And many countries already got your message to produce fewer children. Then they complain when they need to import workers as there aren’t enough of their own to attend to necessary tasks. Listening to so called authorities can be fun when one has little else to do, but believing in what is said can be costly. Gut feeling accompanied by good old fashioned common sense goes a long way towards well being. I tend to avoid the “green” nostrums when it is clear it’s just another marketing ploy. As to worrying about light bulbs, approaching any broken glass without trepidation is sheer stupidity, assuming one is not a member of the cutting onesself cult. Life is way too short to waste time listening to pundits. I for one am far too busy trying to figure things out for myself. It’s also more fun. The only trouble is, when things go wrong, there is no one to sue! My gut told me that David Owen had the right idea: Much of the mostly [as you point out] marketing stuff we do to make products appear to be environmentally conscientious and ourselves feel better about saving the environment is useless–except to fatten the wallets of those selling the so-called green products. What we need to do to really help is change our behavior: Take a train and leave the car behind instead of looking for a car that gives a few more miles per gallon or play golf close to home rather than fly thousands of miles to improve your swing, as two examples. Taking public transportation or using feet, when possible, is a no brainer in the face of rising gas prices. I have been doing that for years, and the much spat upon Europeans have been doing it for decades. If I recall correctly, even Mayor Bloomberg rides subways and has been doing so for a long time! You are ahead of the curve in this regard. We have traffic jams here and in other cities to prove it! We used to read a lot about telecommuting and I don’t know how much of it still goes on. In Europe the trains are a delight. There are tables in some to facilitate a game of cards, checkers or to prop up a book. And some move like the wind making them valid alternatives to flying if you add in the time wasted going through airline folderol and getting to the airport. I think America’s love affair with cars may be on the wane. Heard this morning on WOR radio that youngsters are not as into cars as their forebears. This was shocking to John Gambling, the person telling the story, a man in his 60s. He said the very day he was 16, he got his Mom to drive him to motor vehicles to get him his learner’s permit and that this was one of the best days of his life. It’s hard to change that kind of enthusiasm over cars, though to give him credit, when he worked a later shift, he took a commuter train to the city. These days he leaves home at 3 AM and I doubt there are trains running at that hour.